It could not be a more exhilarating point in time to be a Lucas & Steve follower as the Dutch pairing is making a powerful stance with their third release thus far in 2019. Arriving just as Miami Music Week reaches its pinnacle alongside the kick-off of ULTRA Music Festival, the duo is teaming up for what will be one of the year’s most massive collaborations with Armin van Buuren. ‘Don’t Give Up On Me’ is officially out now via Armada Music across all available digital streaming platforms. ‘Don’t Give Up On Me’ is flawless aggregation of both artists’ styles as they move towards the slightly lighter side of the dance music playing field. Lucas & Steve’s instantaneously recognizable melodies are flooded throughout the three-minute release as they host a sedative male vocal over a lively house instrumental to aptly ignite the arrival of spring. All three producers proceed to shine brightly on the chorus-led house drop for a blissful production that is a sure-fire lock for both radio airwaves and DJ performances this summer. It’s safe to say that in just the first three months of 2019, Lucas & Steve is already on pace to topple their previous 12 months. 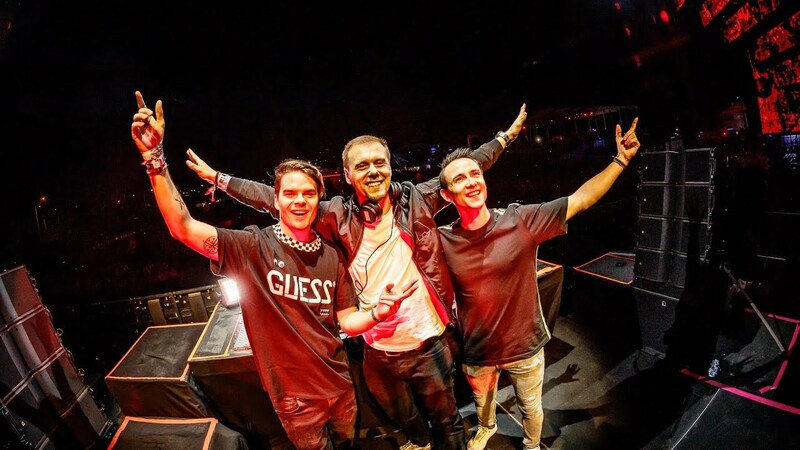 The duo has now officially delivered three singles thus far, including their Madison Mars collaboration ‘Lunar’ and their most recent smash single ‘Say Something’, which saw an extensive list of support from the likes of Dimitri Vegas & Like Mike, Afrojack and Nicky Romero. The duo is currently in the midst of their unbelievably busy Miami Music Week, which included events for Spinnin’ Records as well as Bassjackers and Breathe Carolina. With Armin van Buuren slated for an appearance on the ULTRA Mainstage this weekend, those in attendance will be guaranteed to witness the live debut of ‘Don’t Give Up On Me’ right in Miami. Next Post Back to Basics announce Orchestra with artists from M People, Groove Armada, Living Joy and more all performing.